Dissatisfaction by itself only makes life miserable. Yes, dissatisfaction drives change, but it takes more. I know some dissatisfied people. A few of them are leaders. 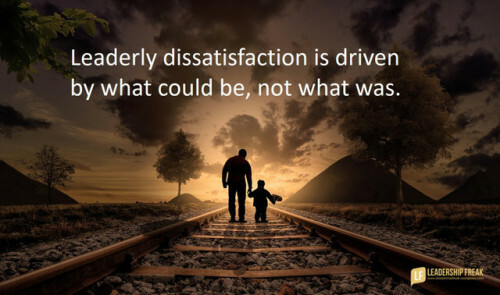 Most use dissatisfaction as an excuse to not try, give up, blame others and wallow in the safe squalor of discontent.